4 boy's - 1 girls ! 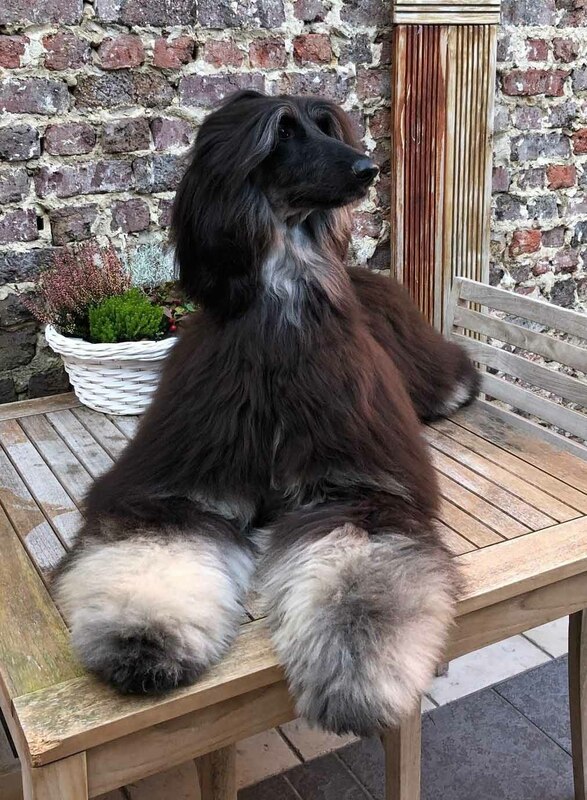 Afghan Specialty, Belgian Afghan Hound Club. New litter 24 February 2018 ! 2 boy's and 6 girls ! 1Ex.Junior CAC - Junior BOB. Owner ,handler : Jules Chapelle. BOB and Group 10 and finisched today in style with Res.Best In Show. Preston :Junior class 1Ex.Best Junior and Junior BEST IN SHOW ! Oop I did It. Intermediare class .3Ex. Del Ghyryo had nice results. Bay class wins Pasja Del Ghyryo with Best Puppy. and Petrus was 3Vp. Otis Del Ghyryo wins the junior class with J.CAC and Is now next to Dutch and German also Belgian Junior Champion. Kuross was 2 in open class in strong competion. Oops I Did It was 3 in Junior Class. We want to thank you all for your good work and friendship !! Our youngsters did very well. winning her last J.CAC. and wins the Junior BOB to her brother Otis Del Ghyryo.,he won the Junior CAC. Oops I Did It del Ghyryo ( MCh Ermes del Ghyryo & Kadjanin del Ghyryo ) : 1 U en Beste Jeugd. Jeugd : 1 U . Benelux Junior Winner Nederland. Crufts qualificatie 2017. En nu dus ook : Nederlands Junior Kampioen en Benelux Junior Kampioen. Oops I did It del Ghyryo. 1U Junior Champion Luxembourg . Junior Benelux winner Luxembourg en Crufts Qualification 2017. Thx Michaela Mühlemeyer for handling my crazy girl in the ring. At the Int. Dog show Rotterdam 3-4 September 2016. And Kuross Del Ghyryo won BOB. Today J.Ch Otis Del Ghyryo wins the Junior CAC is now also Dutch Junior Champion. after that he was awarded with the CAC and became BEST MALE !! Owner of Otis. Ann De Rycke. and last but not least ,"Paris" Eyes Gazing We'll Always Have Paris Wins the BEST OF BREED !! 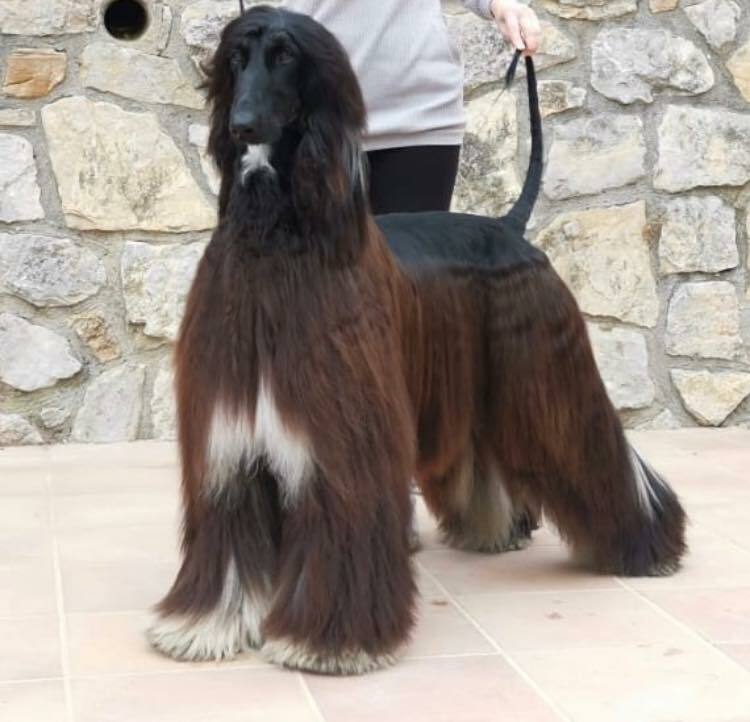 Kuross del Ghyryo was awarded with the CAC-CACIB and BEST OF BREED ! perfectly handled by Mariëlla Van deMergel. The Baby's .Preston The One And Only 3Vp and Pablo 4p. O-Raiza 1Ex. and is now also BELGIAN JUNIOR CHAMPION . Open Class. Kuross , 3Ex. and finally the best for last ! "Paris" Eyes Gazing We'll Always Have Paris wins the CAC and BOS.